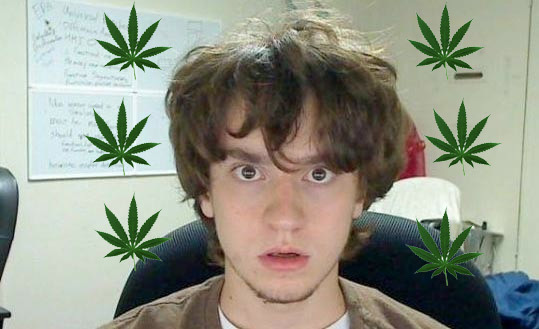 George 'GeoHot' Hotz, who you might know as "geohot" who made the Sony console's root key available last year, has been banged up for carrying drugs. He was traveling by car with friends on his way to the SXSW conference in Austin to give a talk titled “The Final Frontier of Reverse Engineering” when he had to stop at a border patrol checkpoint in Sierra Blanca, Texas. Department of Homeland Security officers were using dogs to decide if a vehicle warranted a search, and Hotz’s car was barked at. Geohot holds a medical marijuana license in California (for those pesky headaches, clearly) and as such, was legally allowed to tote around a confectionary treat bag of THC-infused sweets. Sadly for Geohot, as he may or may not have noticed, he wasn't in California when a sheriff pulled a 1/4 oz. of Mary Jane from the glove box, alongside a pack of chocolates said to contain less than 1/8 oz. of the same Wacky Tobacky. It’s totally a misdemeanor, and after being arrested for a brief period, Geohot was released on $1,500 bail. Unfortunately, George did end up missing his SXSW talk, not to mention his stash.